Participants from the second round of Line CrewGround Support celebrated their graduation today with their families. The graduates are all from the Wataynikaneyap owner communities with some living off-reserve. 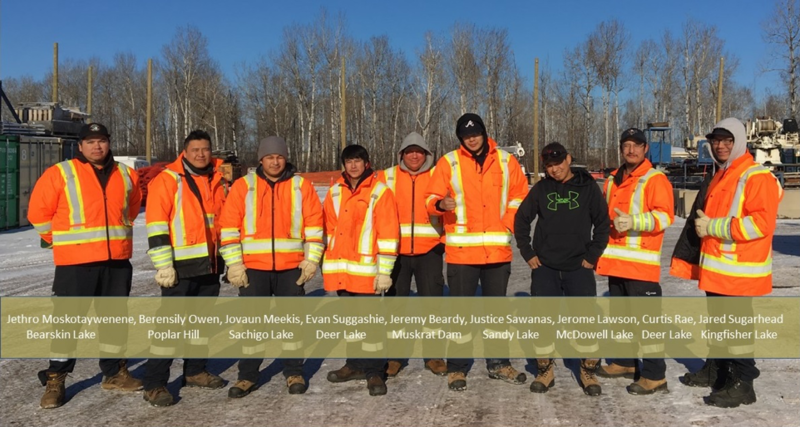 This cohort has strong candidates for opportunities in the powerline sector with many having heavy equipment certificates along with construction work experience. The 15-week certificate program, held at Gridlink for those looking to gain direct or in-direct employment in the construction of the Wataynikaneyap Power Transmission Project and the powerline industry. Wataynikaneyap Power PM, Opiikapawiin Services LP, Infrastructure Health & Safety Association(IHSA), PowerTel and Oshki-Pimache-O-Win: The Wenjack Education Institute have joined together to deliver training programs including the Line Crew Ground Support Training, funded in part by the Government of Canada’s Skills and Partnership Fund. Past graduates have found meaningful employment in the powerline construction sector, mining, construction, environmental monitoring and some have enrolled in further education. 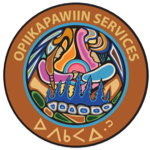 Opiikapawiin Services LP (OSLP) is coordinating the delivery of the training program has two more intakes planned for April and August of 2019. Applications are accepted on an ongoing basis. Congratulations to the nine new graduates! Copyright 2019. Wataynikaneyap Transmission Project. Contact us for more information.